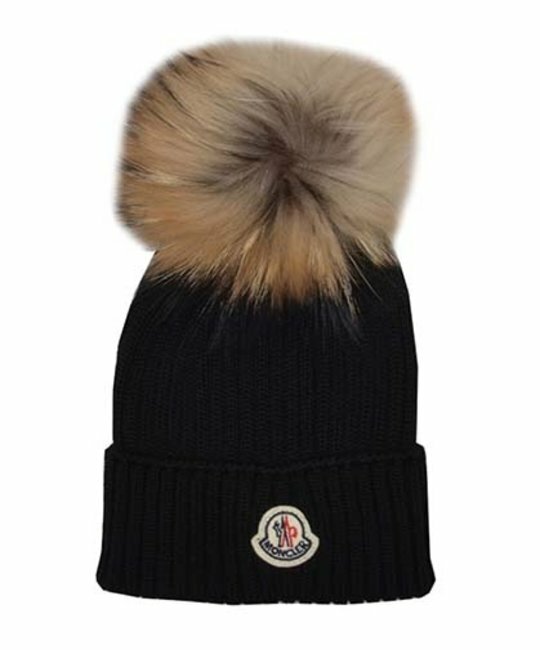 Moncler black soft wool fur pom-pom hat with logo crest detailing. 100% Virgin wool, 100% Asiatic racoon fur. Made In Italy.